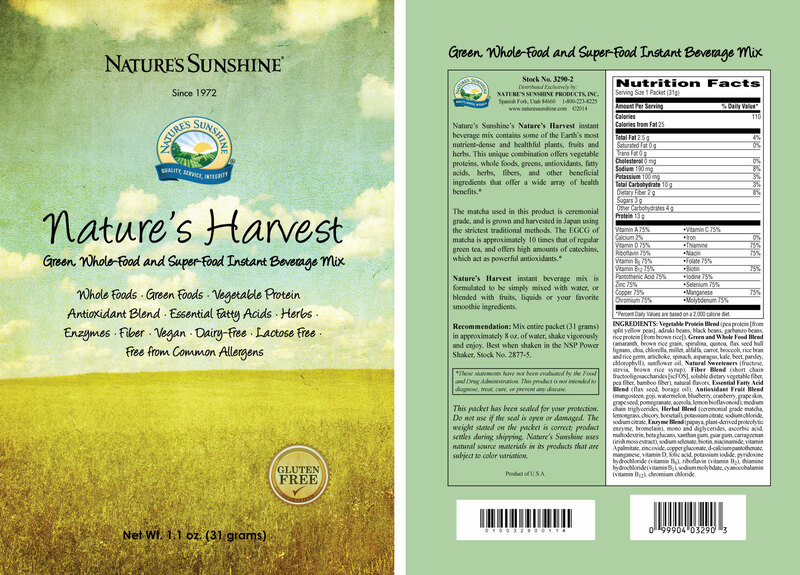 Provides nutrient-dense plants, fruits and herbs for health and energy. Provides 75% of the Daily Value for 18 essential vitamins and minerals. 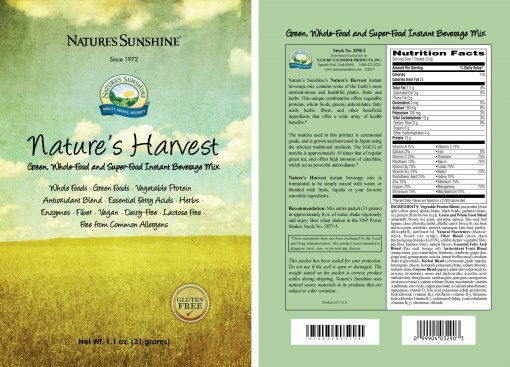 Contains green foods, antioxidants, essential fatty acids, nutritive herbs, fiber and more. Provides 13 g vegetable protein per serving. Supports the intestinal and circulatory systems. 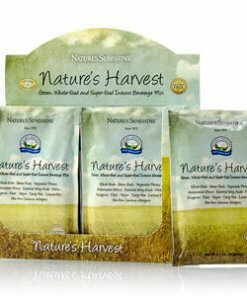 Nature’s Harvest drink mix packs powerful nutrition. It contains whole foods, greens, vegetable protein and many other nutrients. 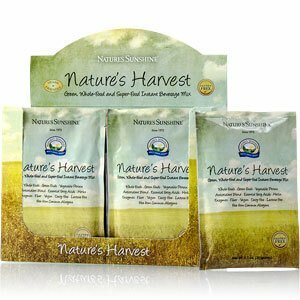 , sodium chloride, sodium citrate, Enzyme Blend (papaya, plant-derived proteolytic enzyme, bromelain), mono and diglycerides, ascorbic acid, beta glucans, xanthan gum, guar gum, carrageenan (Irish moss extract), sodium selenate, biotin, niacinamide, vitamin A palmitate, zinc oxide, copper gluconate, d-calcium pantothenate, manganese, vitamin D2, folic acid, potassium iodide, pyridoxine hydrochloride (vitamin B6), riboflavin (vitamin B2), thiamine hydrochloride (vitamin B1), sodium molybdate, cyanocobalamin (vitamin B12) and chromium chloride. Mix one entire packet (31 grams) in approximately 8 oz. of water, shake vigorously and enjoy. Best when shaken in the NSP Power Shaker.